Tomorrow is the first day of school for the University and all the public schools in the area. I have mixed emotions about this time of year. I don't have kids, so it's not like I'm tearing up at the idea of sending them to school. I have, like with almost everything else I ever talk about, memories that surface with back-to-school each year. Mostly, I miss the excitement. I was (and still am) a nerd. I loved going back to school. I actually liked the idea of learning something new. And, since I'm being completely honest, I liked showing off what I already knew. "Mrs. Jones, 7+7 is 14. AND, even though you didn't ask, 7x7 is 49." Yes, I was THAT know-it-all kid that ruined the curve and everybody wanted to punch in the neck. Thank you, class of 1991, for NOT ever punching me, even though I realize now I TOTALLY deserved it. There's so much more to back-to-school than just learning. There's back-to-school SHOPPING. 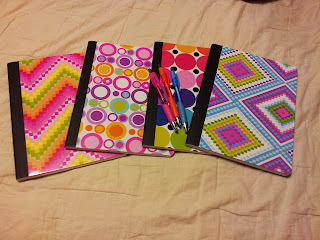 Yes, that annual day long argument with my mom over how many notebooks and pens I actually needed. "But, Mom. 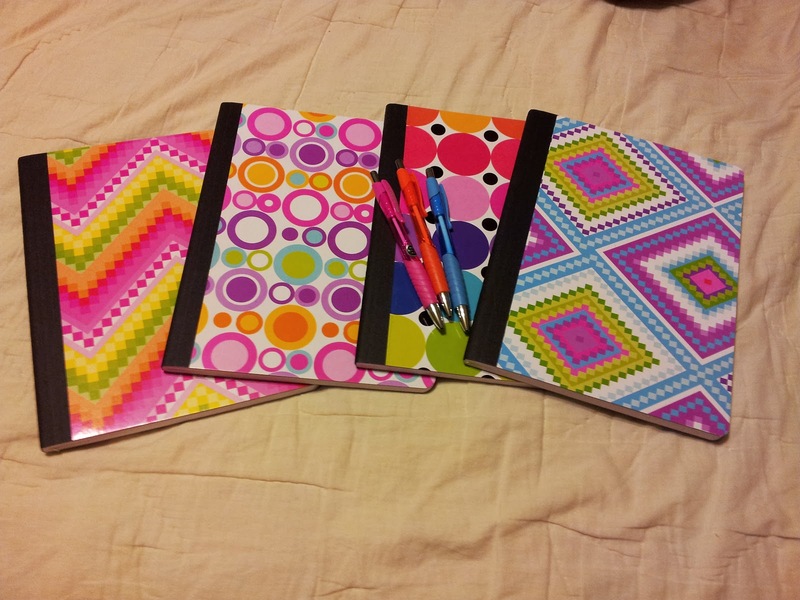 I NEED the pens that write in pink AND the ones that write in purple. I know it says 'black or blue' on the supply list, but that's really just a guideline. A starting point, if you will." Thank you, Mom, for not ever punching me, even though I realize now I TOTALLY deserved it. Who needs anti-depressants when you have pretty comp books? Well, me. But you knew what I was getting at. The shopping wasn't just limited to school supplies....there was school clothes shopping, too. Mom and I would drive to Odessa, or sometimes get crazy and go all the way to Lubbock, to go school shopping. "All the way to Lubbock" meant a two-hour drive to get to a mall, but it was totally worth it to not show up on the first day of school dressed like anyone else. I learned this lesson early in high school. On the first day of my freshman year, I had on the EXACT SAME shirt as Jodi Rice. I kinda thought it was cool, that I picked the same shirt as an upperclassman. Jodi was less impressed to be dressed like a freshman. Every time we crossed paths, which seemed to be alot, she gave me the evil eye and her body language said "I will hurt you, little fish." I didn't wear that shirt again for two months for fear of being hexed or hazed or socially shunned. Thank you Jodi, for not punching me, because even though I didn't deserve it, I get the feeling you really, really wanted to. These are the happy memories of back-to-school. New teachers and new stuff are always good things. But there are not-so-happy memories of going back-to-school as well. Not-so-happy memories like how going back to school meant getting back into a routine, which meant getting up TOO FREAKING EARLY because for three of my four high school years I was in the band. And being in band meant being on campus and ready to march by 7:30am. Brutal. Harsh. And when it was marching band season I didn't just play some piddly little instrument that weighed nothing like a trumpet, flute or piccolo. Oh no. I played the xylophone. The second heaviest and bulkiest instrument after the tuba. What the hell had I been thinking? These days, I don't have to get to campus early for band practice (THANK GOD), but I do have to get up early enough to beat the traffic. In Andrews, you could be anywhere in 7-8 minutes. It doesn't work that way now that I live in a city with more that 220,000 people. Ugh. All these years later and I'm still not a morning person. One of my aunts recently told me that changes as you get older, but I'm 40 now (almost 41), and I figure that if I was going to turn into a morning person, it probably would have happened by now. I'll keep hoping it happens, but I won't hold my breath and I'll keep stocking the fridge with iced tea and Diet Coke. That's pretty much the only downside for me when it comes to school being back in session. I have to fight not only my natural tendency to sleep late, but also the regular morning traffic AND now the University traffic from all the students who are suddenly back in town. The traffic is really the worst part. Work wise, once classes start, our office gets to take a breath and actually do crazy things like take lunch breaks again. So, knowing what I know about the first day of school from both sides of the coin, I wish you luck. I hope you have more pretty school supplies than you can ever possibly need, or at least a pen and paper when the professor tells you to "write this down." I hope you have the coolest new clothes of anyone on campus without being dressed like anyone else. And I wish all you band students luck, lots of caffeine and a wonderfully light woodwind instrument. Oh, and one last thing...I wish all you TTU students have schedules that start with 10am classes so I don't have to share 19th street with you tomorrow morning.